LocalOye, an upcoming and popular marketplace for local services, has returned to desktop model within 3 months of going app-only mode. Out of 43 odd services which are offered on their app, close to 13 services are now available on their desktop. Last April, after LocalOye secured $5 million venture funds, they had announced that they will be only app-only service. Observers had noted that this step signifies a new trend within the nascent ecommerce space in India, wherein startups are focusing only on mobile customers, and ditching desktop users. However, within 90 days, market dynamics and user-preferences have forced them to resume desktop services. This change was first spotted by MediaNama yesterday. Are we looking at a new trend of going back to desktop mode now? 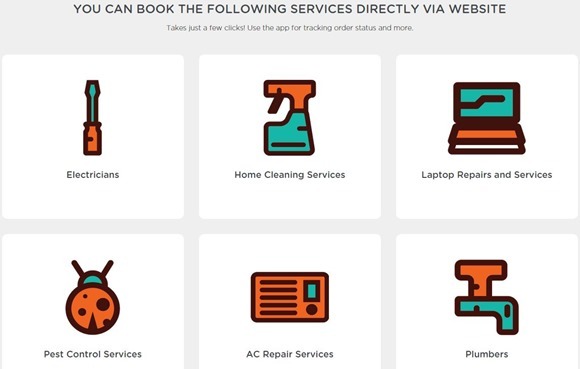 LocalOye provides localized marketplace for service professionals in Gurgaon, Mumbai and Bangalore; using a unique algorithm to match customer’s needs with the available resources. When they had decided to go app-only this April, LocalOye had said that nearly 50% of their 20,000 customers arrived via mobile only, and 28% of all their mobile customers were recurring, compared with 8% recurring customers from desktop. Why Have They Returned To Desktop Mode? If we observe their statement from April, wherein they are saying 10,000 out of 20,000 customers are arriving via mobile app, we tend to ignore one crucial fact: 50% of their visitors are still preferring desktop version. Digital Marketing team of LocalOye must have analyzed the way visitors are coming in their desktop site or app, and choosing their services. It seems that some niche and traditional services like TV repair and Home Cleaning services are being chosen by desktop users, compared to app users. This can be a classic case-study for those start-ups, which are attempting to emulate the app-only models adapted by Myntra and Flipkart, despite huge uproar and dissatisfaction from their regular users. Other major ecommerce portals such as Snapdeal, Amazon, EBay and Amazon have already assured that they have no plans to go app-only in near future. Although mobile applications assist in ‘grabbing’ the customer online, 24*7, and poking them with push notifications and reminders (which are quite irritating after an extent); a standard customer who loves a particular service will use them anyways; even if it means logging into desktop/laptop. Maybe ecommerce portals and service providers need to become so formidable, perfect and trust-worthy that they compel the customer to use them no matter they are on their mobile phone or on desktop. We may be witnessing a new, reverse trend with LocalOye now!